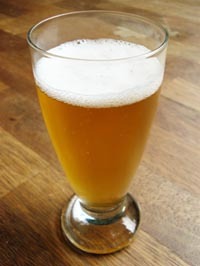 Farmhouse ale, or “saison,” as it is now more commonly known, originated in Wallonia, which is the French-speaking part of Belgium. The style is historical and has strong artisanal roots, having been brewed in a distinct region for several hundred years by individual farmers rather than by commercial breweries. Belgian saisons were traditionally brewed by farmers during the winter months and cellared until they were served to seasonal farm workers. Saison translates to “season” in French and was brewed in the cooler months of the year and held for consumption during the warmer summer season, often by farm workers. Once considered an endangered beer style, saison is still being produced in Wallonia by a few small artisanal breweries and has been enthusiastically adopted by American craft brewers. From a brewing perspective, farmhouse ales have evolved from their Belgian origins and are now brewed and fermented using modern methods, with many being produced year around. Even so, most brewers try to emulate some of the classic saison profiles. Since the original saisons were designed to be laid down for some months, they were sometimes highly hopped and had ABVs of 7% or higher to help with preservation. Each farmer had their own recipe, often including herbs and spices, giving rise to many distinct versions which are reflected in the wide range of interpretations of this style today. Modern saisons are loosely defined as a group of Belgian pale ales that are highly carbonated, around 7% ABV, with fruity, spicy, and often tart characteristics. The color range is from pale to amber with most being in the dark yellow to orange spectrum. They may be spiced and sometimes Belgian yeast strains are employed. Pale malts are most commonly used along with wheat and some darker roasts added for color. From an historical perspective it seems unlikely that farmhands would be furnished with several liters of strong ale as refreshment during the hot days of summer. It has been speculated that farmhouse ales were brewed and laid down for purposes of preservation but were either diluted or blended to a lower a ABV before being consumed. The surviving commercial examples from Belgium tend to reflect the higher ABV model, as do the numerous American craft brewery saisons. 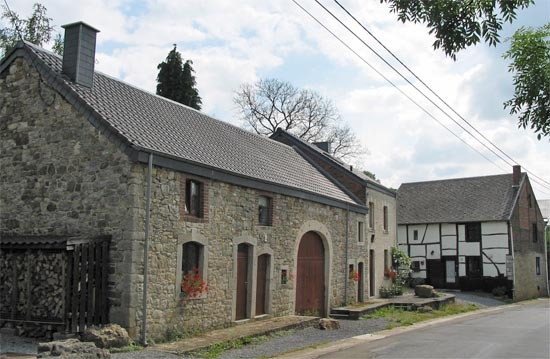 There are French versions of farmhouse ale that come from the region of France adjacent to Wallonia. Called “Biere de Garde”, or “beer to be stored,” these French farmhouse ales are very similar to their Belgian cousins in most respects because they share common origins. Even though they are often described as stylistically different, the geographic and cultural similarities of a region whose borders have wandered back and forth many times in the last five hundred years, along with the extremely broad nature of the style itself, brings them both together. Today, both styles are represented in commercial examples currently being brewed. For the fourth offering in our Zymaster Series of special brews, Anchor Brewing produced Fort Ross Farmhouse Ale. Named after the early Sonoma coast Russian settlement and true to its origins, the beer emulates a classic Belgian farmhouse ale with a local twist. Our yeast is a local saison style and our malt bill contains barley and two types of malted wheat, one of which is a toasted Belgian variety. Our local ingredient is the indigenous plant Yerba Santa, or “Holy Herb” in Spanish, which was held to have healing powers by native Californians. The blend of Yerba Santa and hops creates a unique bitterness that complements the clove-like flavors produced by the saison yeast, and the addition of toasted wheat malt produces a bronze color and contributes to the pleasant maltiness of the finished beer. In the spring of 2014 we released Anchor Saison Spring Ale, a traditional Belgian-style saison with a California twist. In addition to a locally-cultured, Belgian-style yeast, Anchor Saison is brewed with three California ingredients – lemongrass, lemon peel, and ginger – which adds a tangy crispness and herbal spiciness to this sharply refreshing brew. This uniquely Californian saison is now available for the spring season in select markets nationwide, and we hope you’ll toast the “saison” with an Anchor Saison Spring Ale! Use our Beer Finder to find Anchor Saison Spring Ale near you.